Sir William Gooch (1681 – 1751) is buried here. Gooch, who was born in Great Yarmouth, was colonial governor of Virginia from 1727 to 1747. Explore Yarmouth’s maritime history, and the story of Nelson. See website for opening times and admission charges. 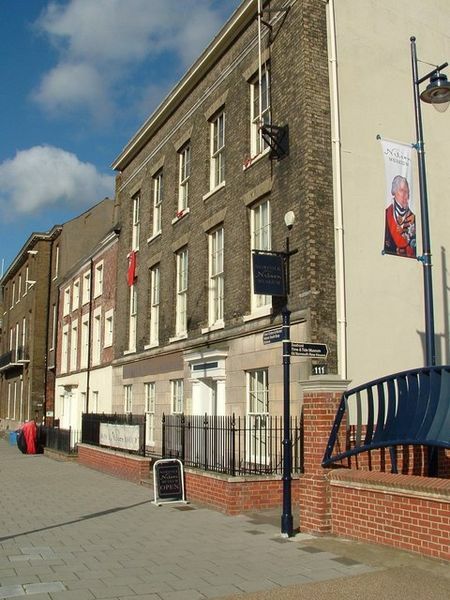 Discover the history of Great Yarmouth, including its maritime and fishing heritage. See website for opening times and admission charges. Image courtesy of Paul Shreeve. Licensed for reuse under the Creative Commons Attribution-ShareAlike 2.0 license.